If you aren’t in a fantasy basketball league, and don’t follow the Warriors, you might look at their boxscores and not recognize many of the players. The Warriors have been infamous for bringing D-Leaguers up over the past few seasons, and unfortunately for them, it’s mainly due to the ridiculous amount of injuries they’ve sustained during the seasons. This year we found a couple of solid guys to jump into the lineup, although it’s not the picture perfect lineup, these guys are showing that they are worthy of the NBA. After getting to see some of the guys live last night, I thought I’d make a list of the top five guys that the Warriors called up from the D-League. 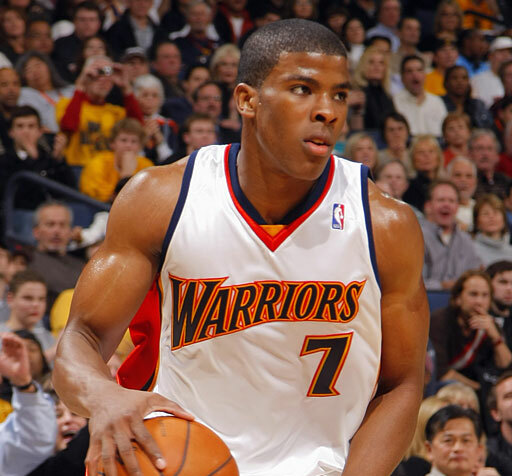 #1 Kelenna Azubuike – Buke is the best player we’ve pulled up from the D-League ranks. He flourished in the utility man role. Not many plays are called for him, but he still puts up productive numbers. He fills the boxscore by knocking down open jumpers, sneaking in for rebounds/putbacks, dishing the ball to an open man, and playing solid defense. 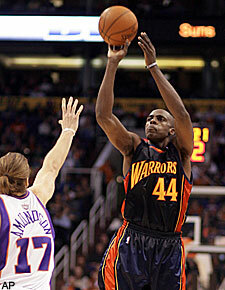 He’s gone from a nobody out of Kentucky on the verge of going to the European League to a starter for the Warriors. Granted he’s been out for all but a handful of games this year, but when he’s on the court he effortlessly fills up the stat sheet. There’s just a lot to like about his game. He has one of those high basketball IQ’s that every fan likes to see in their players. #2 Reggie Williams – I’ll be honest, I haven’t seen this guy play all that much, but that didn’t stop me from picking him up on my fantasy team last week. Last night I went to the Clippers-Warriors game, and he was much better than I expected. Since being called up to the NBA, five of his twenty games have been 20+ point performances, including 20+ in three of the last four games. I think he’s finally feeling comfortable in the league that he probably should’ve been in all along, and last night I was impressed seeing him in person. 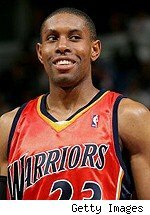 This guy has a great all around game, and he’s twice as good a defender as Anthony Morrow. Reggie is going to last in the league; even if it’s not with the Warriors he showed that he’s a complete player. I was surprised how he ran the offense so well, he must have one of those high basketball IQ’s. Taking it to the hole and dishing or putting up the shot, shockingly every time he made the right choice. He has been the floor general for chunks of games over the past week and a half. #3 Anthony Tolliver – I wasn’t sold on Tolliver the first couple times I saw him play, but he’s grown on me a lot over the past month. He’s a very active guy on the defensive end which is something the W’s have lacked for a loooong time! I guess he hasn’t had his only NBA stint with the Warriors as he also had brief stints with the Spurs and Blazers, but the W’s gave him his first extended shot on the court, and is currently the starting power forward. I hope we keep him on when Randolph and Wright come back, he’s shown far more abilities than someone knew he had in him. He’s perfect for Nellie, because he plays hard and can drain his jumpers from deep, which is what Nellie loves in a big man. 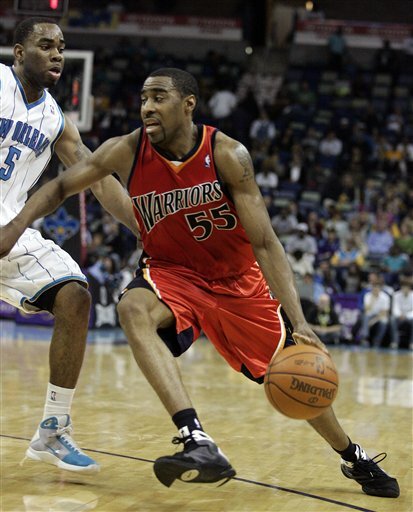 #4 CJ Watson – I’m not sure how I feel about this third year former D-Leaguer. I’m just really hot and cold with him everytime I watch him play. He always plays hard, and never complains, so those are big check marks in the positive column. He’s been a nice fill in for the often injured Ellis. He’s outplayed all the guys that have come in to take that backup role such as Marcus Williams, Marco Bellinelli, Acie Law, and Demarcus Nelson. I don’t really see him as much more than a career backup, and has less upside than the top three on the list, who I feel could start for some teams, but he’s going to be on the team and in the rotation, unless we land the Wall sweepstakes. Would that make Ellis be the first guard off the bench? 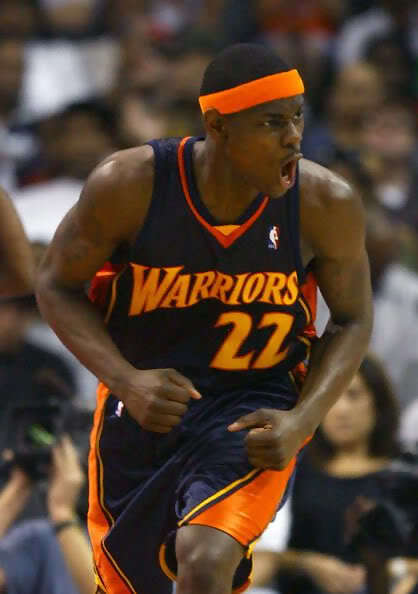 #5 Anthony Morrow – Yeah, I know he wasn’t ever in the D-League, but since he was an undrafted signing I couldn’t resist putting him on the list. Besides, did you really think I was going to put Chris Hunter or Jamero Moon on here?!? In Morrow’s first start last season, Mceezy and I got to sit as close to the court as either of us had at Staples Center. Hell, we were a few rows in front of Mitch Richmond! Anyways, he scored 37 that day, and won both of us over. Nellie has even proclaimed him the best pure shooter he’s ever coached. I’m not sure exactly what that means since Nellie is crazy, and has coached some of the best shooters in the game, but there’s got to be something to it. He led the league in 3PT% last year. I probably would’ve had him higher on the list, but the guy doesn’t play ANY defense. He looks lost on that side of the court, and gets burnt more often than not, which is why Reggie is getting so much more playing time over him the past few weeks. This entry was posted on Monday, March 29th, 2010 at 1:42 pm	and tagged with basketball, best, call ups, contracts, D-League players, golden state warriors, NBA, Signing, talent, top and posted in Sports. You can follow any responses to this entry through the RSS 2.0 feed. The quicker Ellison takes over the organization the better off they’ll be . One more month of Cohan and Larry Riley is merely one more month of apathy and mediocrity by them both ! Sorry about that ! Original comment . Are your brackets still in tact or have you just decided like myself decided to say ‘ oh screw it’ and just watch the remainder of the NCAA tournament ? My Dukies are there barely and that’s all I’ve got left in . Baylor was my last hope, now I’m just watching 🙂 I think I’m rooting for Michigan State now. I just like Izzo! Of the four coaches remaining the only two that haven’t won a championship are the Bulldogs’ Brad Stevens and the Moutaineers’ Bob Huggins. But it’ll also come down to the experience of the coaches . So I think it’ll favor Tom Izzo and Mike Krzyewski ! The duo of Izzo and Krzyzewski have won four championships between them. First off, I love the layout…. BUT, as high as you may be (on Williams and Tolliver), would you really rank them above CJ and Morrow after all they’ve done over the last 2-3 seasons? What’s this about Oregon hoping to lure Tom Izzo to leave the Spartans ? I know he’s bright but he ain’t stupid that’s for sure ! That’d be a step down for Izzo not a step up !